Hacienda Healthcare of Arizona is under local and national fire after a San Carlos Apache woman in a vegetative state gave birth to a child a couple of days after Christmas. Hacienda Healthcare CEO Bill Timmons resigned a week ago after the major scandal was unveiled due to a frantic 911 call and a healthcare whistleblower. The nonprofit corporation, which was founded in 1967, possesses a lucrative state contract with the State of Arizona and receives over $20 million annually in taxpayer funding to take 24x7 care of its severely developmentally disabled citizens. Jeffries communicated his intentions to the Governor’s office and strongly recommended to the State Attorney General’s Office that Hacienda should be investigated for millions of dollars of suspect billings. Jeffries’ audit team in his inspector general’s office found that the nonprofit corporation overbilled state government, therefore Arizona taxpayers, approximately $4.3 million in one just one year alone. Arizona DES audits accused Hacienda of overbilling the state in 2014 for wages, transportation, housekeeping, maintenance and supplies. The cost of treating a patient was nearly three times (3x) the national average. Hacienda charged $386,000 as compared to $134,000 per patient in similar developmentally disabled care facilities. The fact that Timmons and his team would not provide 2015 financial data to DES as required by law was another giant red flag to Jeffries. Public records show that Timmons donated $4,000 to Governor Ducey’s campaign in 2014 and 2016. Timmons also gave thousands to other elected officials. What is not known, perhaps will never be known, is how much Timmons, his businesses, his associates, his friends and family gave to 501c4 “dark money” groups where contributors and contributions are not legally required to be reported. 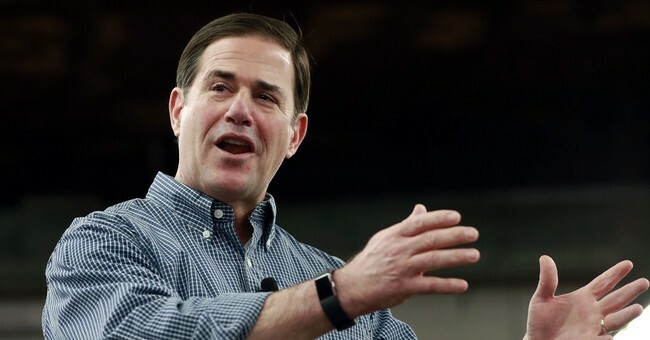 Jeffries’ chief law enforcement officer Charles Loftus, a former top special investigator for the Arizona Attorney General, observed in a written statement, “...there was an extraordinary level of anxiety by the DES staff that Mr. Timmons was a friend and donor of Governor Ducey. I personally confirmed Mr. Timmons made several donations to the Governor’s campaign using several variations of his name and different addresses.” If the total amount exceeded campaign finance limits, it is a violation of law. Jeffries recently told ABC 15 in Phoenix, "Timmons was intemperate, he was belligerent, he was abusive, he was a terror to our staff and God only knows how to his staff." Tragically, the recent horrific sexual assault and pregnancy of a vulnerable and defenseless 29-year-old Apache woman isn’t the first time Timmons tried to cover up abuse of a patient. According to a former Hacienda manager, Timmons did the same thing with another patient scandal in 1988. Jeffries and Loftus believe their investigation of Hacienda contributed to their ousters the day before Thanksgiving in 2016. Not long after Jeffries and Loftus were fired, the Arizona Attorney General criminal investigation they pushed for was halted. "I was ousted as a result of a manufactured crisis, to shut me up and make me go away. Well, I'm not gonna shut up and I'm not gonna go away," Jeffries says now. Those who know his life story and work for crime victims know how serious and formidable he is. Jeffries and Loftus have a joint lawsuit pending against the State of Arizona. In their joint lawsuit, they specifically site their work to root out state government corruption with multimillion dollar vendors like Hacienda as a major reason for their political deaths. During his 21 months of service, Jeffries and his inspector general team took down several public officials for fraud, most notably a member of the Arizona Legislature. As a result, the Governor’s Ooffice became increasingly uncomfortable with Jeffries’ crusader approach to public fraud, waste and abuse. Even the Arizona Attorney General’s Office became weary of Jeffries and his team’s passionate commitment to investigate and prosecute fraudsters. When Jeffries and Loftus were ousted, the criminal investigation was turned over to government healthcare bureaucrats for a civil investigation — and all discussions regarding terminating Hacienda as a state vendor ceased in late 2016. Due to their support in the Arizona Legislature, Jeffries and Loftus were scheduled to testify about another major corruption issue in February 2017 and the Governor and his team blocked their testimony despite Arizona’s State Constitution clearly outlining separate but equal branches of government.” Jeffries and Loftus mention this scandalous act in their lawsuit.